← Bitcoin vs Other Investments – If you have $1,000 to spend, what would you buy? 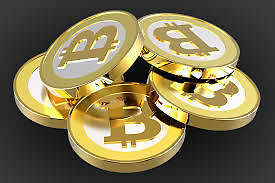 We already know that the Bitcoin Blogs are the best information resources about making money from Bitcoin. Could there be a “get rich quick” book that really works? If there were such a thing, it would definately need to be based on something that has actually made people rich recently. For it to be real, it would need to be based on something that involves hard work, or risk, probably both. For the get-rich scheme to be believeable, it needs to involve a new technology of some kind. It should be a disruptive, black swan technology — a truely unique once-in-a-lifetime thing that changes some important things as we know them. Previous black swans in history, for example, would have been: fire, the wheel, the arrowhead, bronze, steam engine, electricity, telephone, nuclear power, the internet, email etc. Bitcoin has created more millionaires in the past 3 years than nearly any other industry. The trick to remember about Black swans (new, disruptive technologies) is that they are never accepted until they are accepted. They are always ignored, rejected, rideculed and attacked until society as a whole has finally adopted them. Today’s Black Swan is Bitcoin. Look for the new Bitcoin book in Summer 2014. It will tell you three different ways to get rich from Bitcoin, and will have the most up-to-date information on Bitcoin, the technology and it’s many uses. The book will dispell the myths, tell you what are the real inherent values of Bitcoin, and what are the real pitfalls of Bitcoin. It will tell you when to mine, when to buy and when to sell.